There is no job too big or too small. 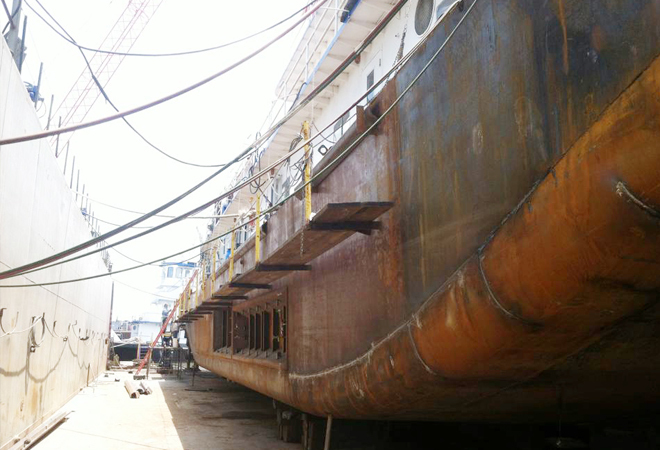 FMT Shipyard specializes in repowers, full refurbs, carpentry work, seal conversions, quick wheel changes, full underwater services, alignments, tank cleaning, and steelwork. Our machine shop can handle shafts up to 40 ft. in length, all miscellaneous machine work, tiller fabrication and blue-fitting. 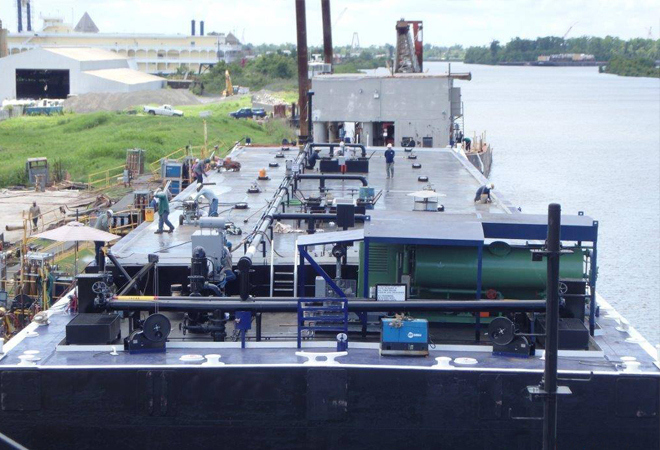 FMT Shipyard has an outstanding barge crew. 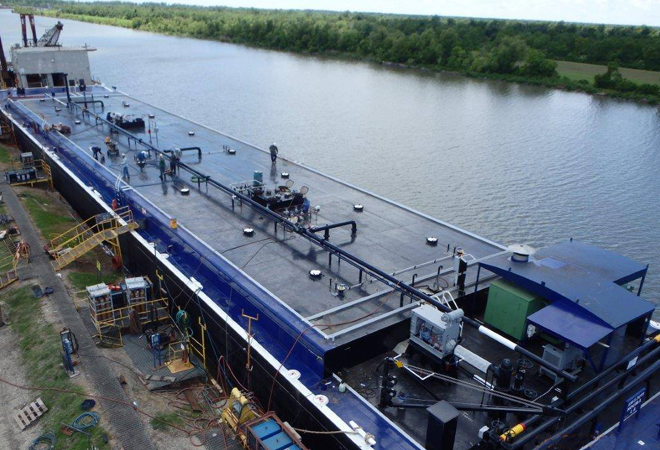 The barge crew handles small topside repairs, pump and engine swap outs, heater repairs, pressure barge repairs, wrap around paint jobs, and all miscellaneous barge maintenance. 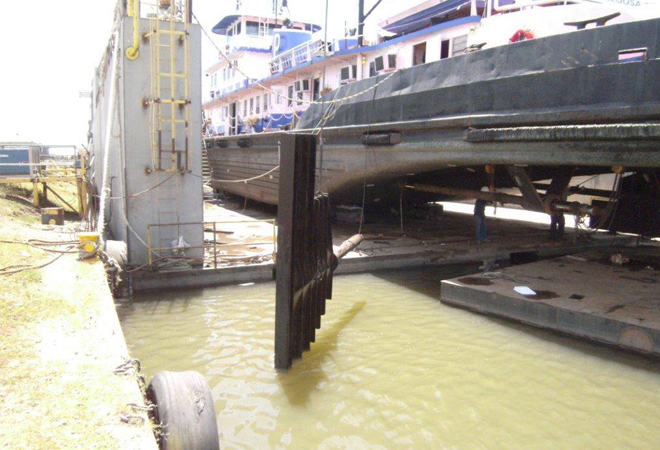 We also specialize in 5 year and 10 year ISE/COI’s with quick turnarounds;– getting barges out of the shipyard and back into service.